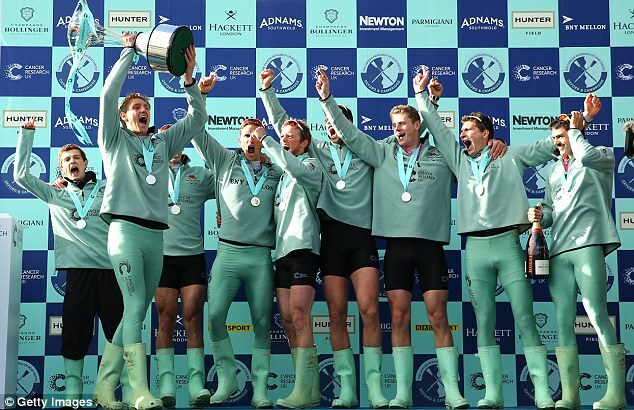 Cambridge University have beaten Oxford to win the 162nd edition of the Boat Race and end their rivals' recent dominance. The victory was their first in four years, and came after a run of six wins from eight for Oxford, whose women had won the women's edition earlier on Sunday afternoon. 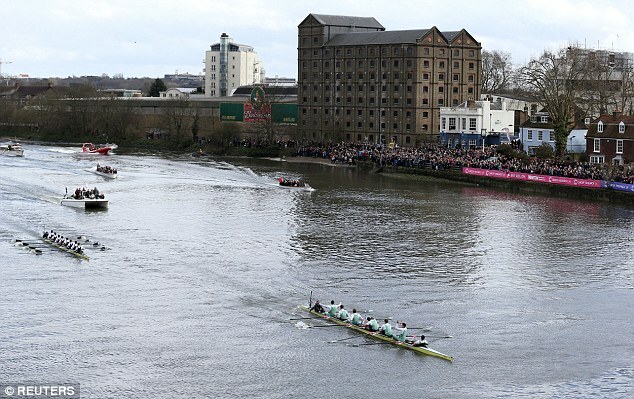 Race favourites Cambridge had won the toss, and chose to start on the Surrey station on the same south side of London's river Thames as Oxford's women. 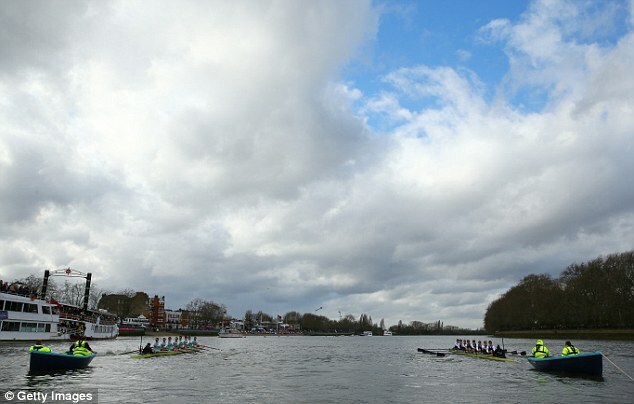 In rough conditions on the Tideway course, the teams began competitively but with the more experienced Cambridge slightly edging ahead while rowing more tidily. Much of the reason they were favoured came in the fact they were 11.8 kilograms heavier overall, 1.5 centimetres taller per man, and had added Great Britain oarsman Lance Tredell to their team. Approaching the first bend they were were building a promising lead, but at a time when they would have hoped to extend that - approaching the second, by Hammersmith bridge - Oxford impressed by remaining more than in contention just behind them. The second was where the water, owing to strong wind, was at its choppiest, and where Cambridge's women were at risk of sinking, but Cambridge built on their advantage in the unfavourable conditions and by the time they reached the Chiswick Steps were set up for victory. Thereafter, both teams - perhaps reacting to the struggles earlier witnessed in the women's race - headed for the Middlesex bank where the water was at its kindest, and as they did, Cambridge retained their lead which had built to two-and-a-half-lengths. Heading into the final straight having already overcome the biggest challenges, the light blues remained relaxed to end any unlikely hope Oxford had of recovering. Their convincing victory was eventually secured in a time of 18 minutes and 38 seconds, and by two-and-a-half lengths. Its nature meant there were no clashes between the two boats, and that the race's umpire was never needed. It also vindicated the decision of head coach Steve Trapmore, a 2000 Olympic gold medallist for Great Britain, to transform their preparations in the hope of ending a run of three straight defeats. He had also overseen a win in 2012, but which some observers felt may have been fortuitous. After his side's victory, Cambridge president Henry Hoffstot told BBC One: 'I'm at an absolute loss for words. 'After losing twice, coming out here and winning is a feeling like nothing I've ever experienced before. I'm truly humbled. 'A lot of hard work goes into this, it's nine months and we wanted it more today. All of the guys did a great job, Steve (Trapmore, Cambridge head coach) did a great job. Cambridge cox Ian Middleton added: 'It was definitely tough conditions. Steve and I went out over the course yesterday at about this time when the conditions were very similar. We knew what it would be like, we knew it would be a tough second half and we'd have to set it up in the first half. Losing president Morgan Gerlak is confident Oxford will bounce back next year. 'We're part of the best boat club in the world and we'll be back next year,' he said. Last edited by Blackleaf; Mar 27th, 2016 at 12:36 PM..
Do you have a video of The Boat Race? I checked youtube but it has not been updated there as of yet. Last edited by Blackleaf; Mar 29th, 2016 at 06:41 AM..
As in the past, they came awfully close to clashing but thankfully the officials kept them apart. Horrible conditions so that it must have felt like they were stuck in the middle of an iceberg. Great work by both coxswains to maintain steerage under those conditions. Did you see the girls race? Cambridge nearly sank! Awesome event. Too bad it gets virtually no media coverage in the USA. Four Yanks in the mens Cambridge crew. I saw that women's one when they nearly sank. I don't think there has been a full-blown sinking in either the men's or women's race since 1984 when a Cambridge men's boat sank after ramming a barge before they were even under starter's orders. 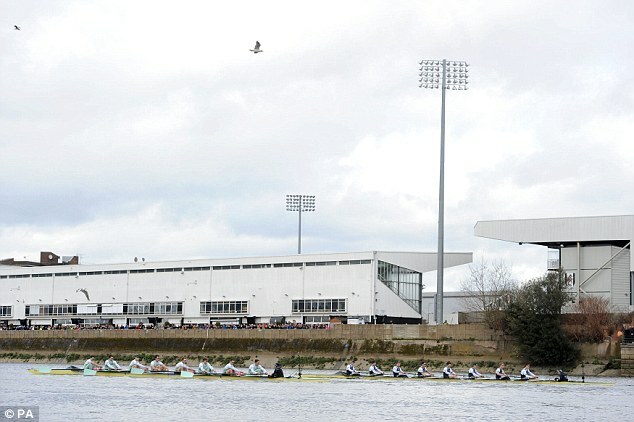 The race was postponed until the following day, making it the first Boat Race to be held on a Sunday (this year's was held on a Sunday and last year's was held on a Saturday). 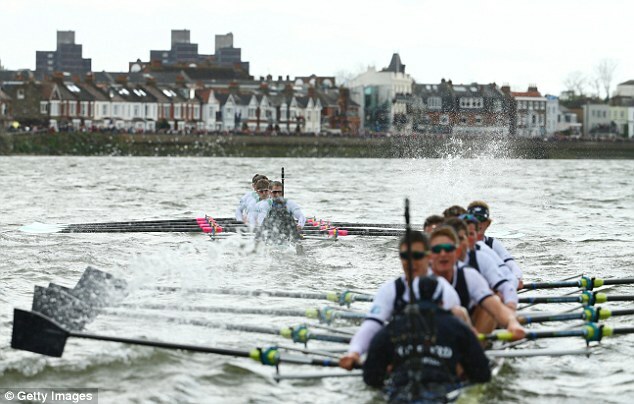 Oxford won by three-and-three-quarter lengths and both crews beat the existing course record. The remains of the boat now have pride of place in a Cambridge pub and have been signed by all crew members. The other sinking before that was in 1978. In the USA we have the Harvard-Yale regatta scheduled for June 12 in Connecticut. Years ago this was the final college event of the year. Nowadays the baseball championship may extend beyond this date but it the event richly deserves to be called the Crown Jewel of college sports. What do Cambridge grads do, now that Communism is defunct? Did you see The Boat Race today? Interesting how Cambridge girl's cox was a guy - he was younger than any of the rowers and smaller. I liked watching Arizona State University practice their boat racing on Tempe Town Lake where we would fish now and then. I watched the men's race. Women always need to rely on men somewhere along the line. 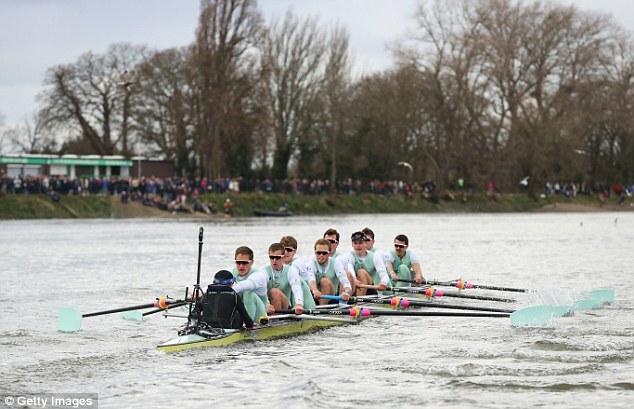 Oxford's bow man William Warr was part of the Cambridge crew in the 2015 race. He's only the third person to compete for both universities in the Boat Race. Always enjoy this race. I haven't always been able to get it, or get a repackaged rehash by the BBC a week later. But i get BBC World on my cable now and got the whole thing live. Terrific spectacle. There were a couple of Canadians in the races (we always seem to have some representation),. for the Women, Emily Cameron of Oxford, victors.. for the Men, Aleksander Malowany of Cambridge, 2nd. Well done to all, it's a tough sport. Last edited by coldstream; Apr 3rd, 2017 at 12:41 PM..
Replay is available on YT. Good to see Canadians and Americans on both squads. Very exciting sports events. 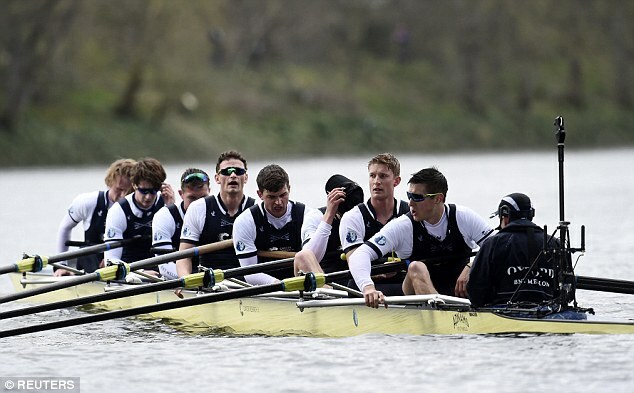 Cambridge beat Oxford in commanding manner to win the 164th Boat Race in gloomy conditions on the River Thames. The Light Blues took control from the start and remained ahead to win by three lengths in 17 minutes 51 seconds. That takes their advantage in the famous race against Oxford to 83-80. Cambridge earlier won the women's race in emphatic fashion, beating their rivals by seven lengths in just over 19 minutes. They also won both reserve races to complete a clean sweep. 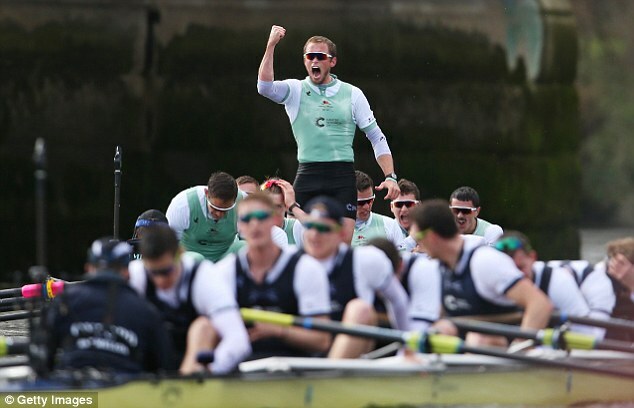 It is the first time Cambridge have won all four races in the same year since 1997. Cambridge men's chief coach Steve Trapmore, who is leaving his role to take up a new post with the British Olympic rowing programme, said: "It's been a long year. Every year we review what we have done and try to make it better. "I really wanted the boys to do well and they stepped up. They took it by the scruff of the neck from stroke one and I'm really pleased they went and fulfilled their potential." 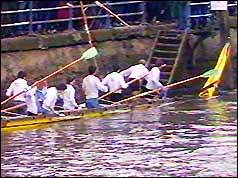 Oxford president Iain Mandale said: "I think the guys did a really good job - Cambridge were just quite a good crew. It's not always easy to lose and say it was a good performance but there we are." Mandale denied a late change to their line-up - caused by Josh Bugajski's absence with gastroenteritis - was a key factor. "I think its a shame that is the story of this year's boat race," he said. The convincing win by Cambridge's men followed a dominant display by the women, who extended their overall number of victories to 43 against Oxford's 30. 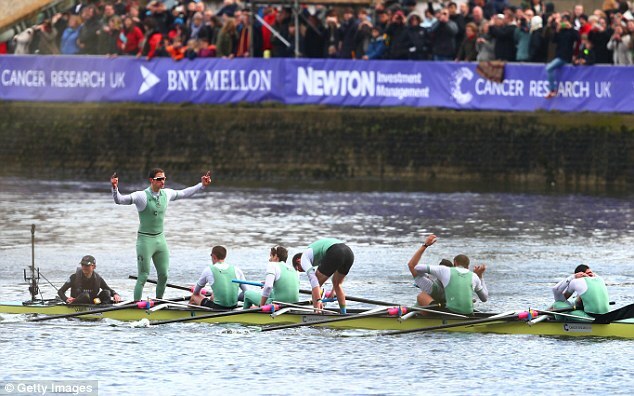 Having triumphed last year by 11 lengths in a course record of 18 minutes 33 seconds, it is the first time this century that Cambridge's women have won in consecutive years. 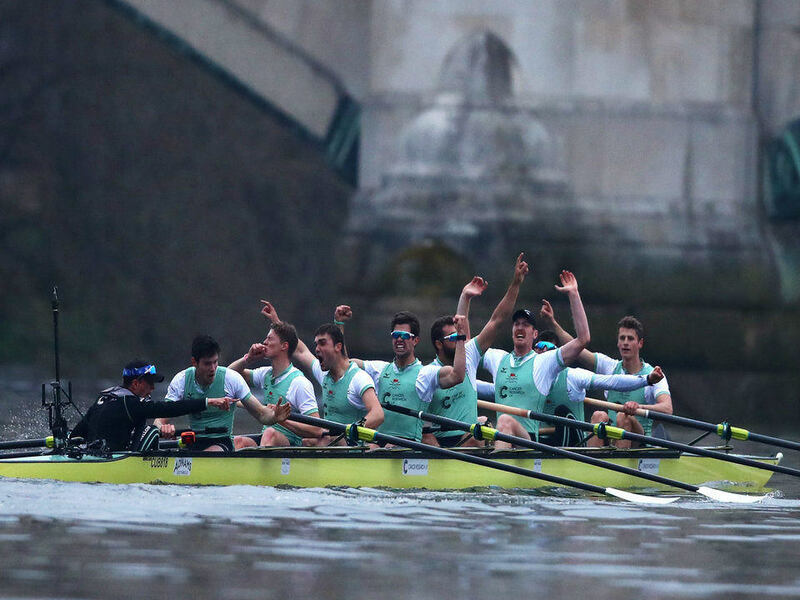 Oxford win the 152nd University Boat Race.